Anatomical landmarks are useful in describing the location of different functional brain regions, for example, the primary sensorimotor cortex in the pre- and post-central sulci, the primary auditory cortex on Heschl’s gyrus, and the primary visual cortex in the calcarine sulcus . However, early studies examining the effects of different brain lesions on function, and the advent of neuroimaging, have shown that there is tremendous intraindividual variability in both the structure and functional organization of the human brain. Like fingerprints, each brain has a unique configuration of gyri and sulci (crests and troughs, respectively, in the surface of the brain) [2, 3]. In addition, brain function may not be specifically localized with respect to sulcal neuroanatomy, prompting the conclusion that sulci are not generally valid landmarks of the microstructural organization of the cortex . In patients with brain pathology, the use of anatomical landmarks can further be jeopardized due to edema or mass effects that obliterate the structure of gyri and sulci and can induce plasticity in functional organization. These findings highlight the important role of personalized structural and functional neuroimaging, especially for clinical applications such as presurgical brain mapping. In this chapter, the chief neuroimaging methods relevant to the diagnosis and management of patients with brain tumor or epilepsy are reviewed. The image data shown in Figs. 3.1–3.3 were collected at the National Research Council Institute for Biodiagnostics (NRC-IBD) from patients treated in the Neurosurgery Department of the Health Science Center (HSC) in Winnipeg. 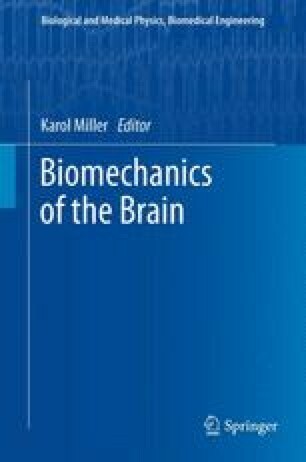 The author would like to thank Dr. Michael West, Head of the Neurosurgery Department at HSC, and Dr. Owen Williams from the same Department, for their involvement in referring patients and interpreting the image data shown in the figures in this chapter, and Dr. Uta Sboto-Frankenstein and Dr. Jordan Hovdebo from NRC-IBD for their assistance in collecting and analyzing the images.